Between 8 and 15 refugee families participate in our farmer entrepreneurial training program each year. 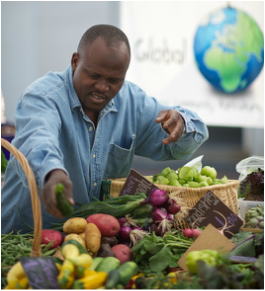 We provide winter classes, training, hands-on technical assistance, and allocate farmland to refugees. All the land which our trainees use is donated from local landowners. Typically, our trainees are provided with up to ½ acre of farmland during their first three years of production. 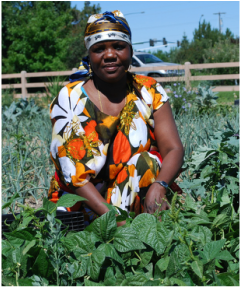 We currently use three different sites to train refugee farmers, and we have several “graduates” of our program who have independently negotiated separate land leases and coordinate their own C.S.A. pick-ups during the growing season. In addition to getting access to a larger plot of land and extensive training, farmer entrepreneurs receive marketing assistance. During the growing season, we sell produce at the Capital City Public Market, the Boise Farmer's Market, and at other smaller markets as available. We have a CSA -- Communtiy Supported Agriculture. Learn more about it on the CSA page. We also sell to the Boise Co-op and a number local restaurants as well as through Idaho's Bounty.